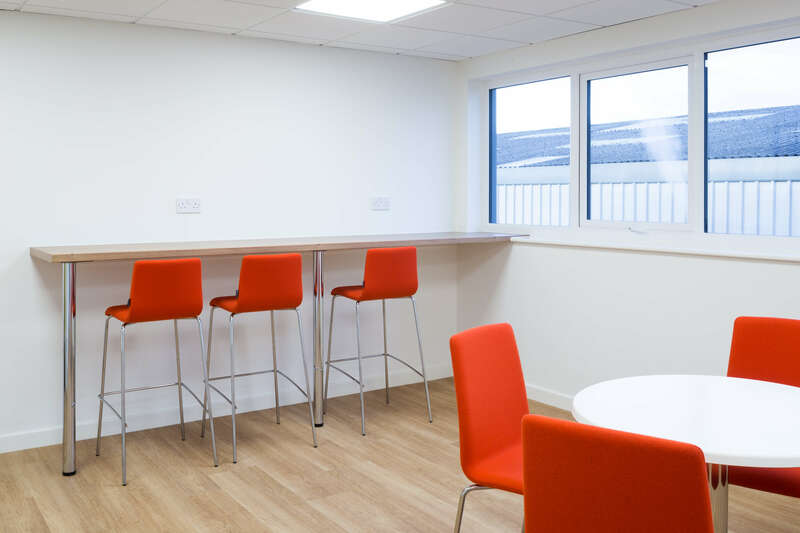 FLP Group, the Doncaster based automotive refinishing company, needed a refresh of their current office space to create a new working centre which is modern and exciting for their staff to work in, and reflective of their brand values of sustainability, integrity and continuous improvement. Dale Office Interiors were the appointed fit-out contractor and took the project from design stage through to final completion over an 8-week period. With workspace across two floors, a new open plan office space was created on the first floor to offer flexible and agile working opportunities, with more private offices and meeting room space available over both floors to allow for increased break out areas for more collaborative working. 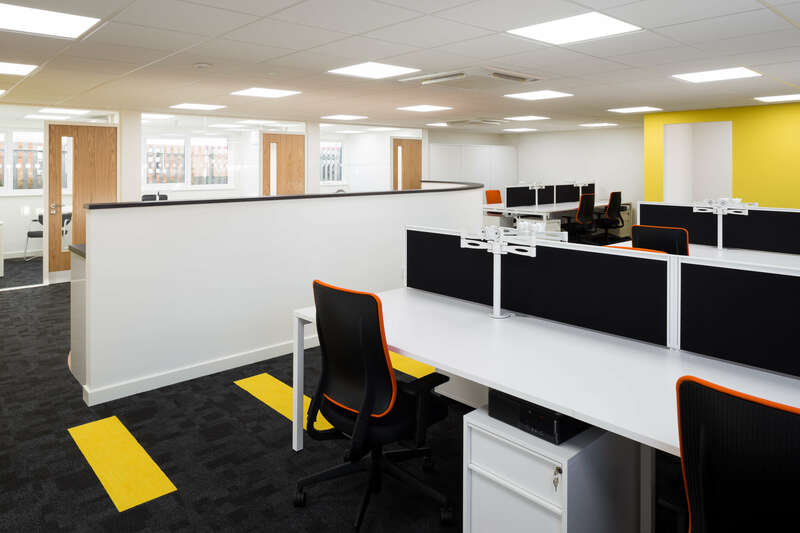 Incorporating the company’s brand into the décor allowed for creativity with the design, focusing on the primary colour scheme of FLP’s logo of yellow and black, which is also highlighted in the flooring. 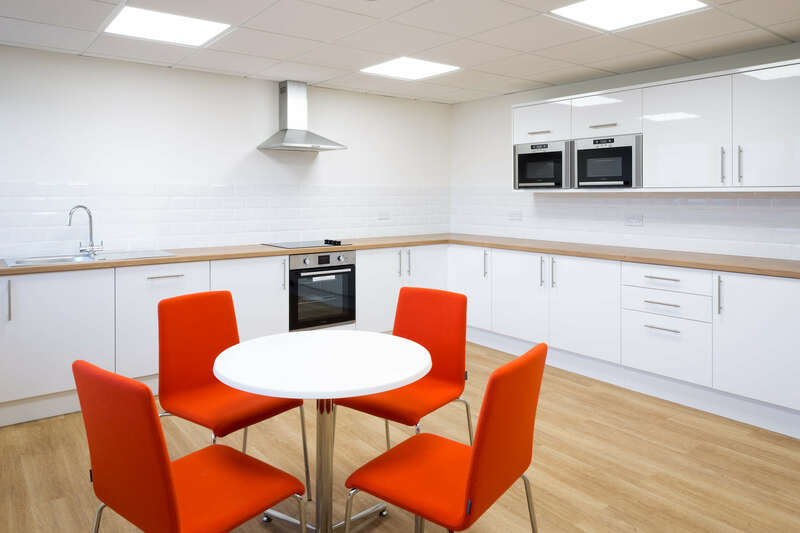 The 3,900ft2 project included new kitchen facilities, providing further breakout areas for staff yet keeping to the main open plan feel of the office. Manufacturer brands included Desso, Interface, Modulyss, Forbo, Narbutas, Viasit, Pledge and CMD, giving some quality finishing touches to the project.